This video is super sweet but also deeply personal, so it makes sense that this celebrity mom waited to share it with the world. 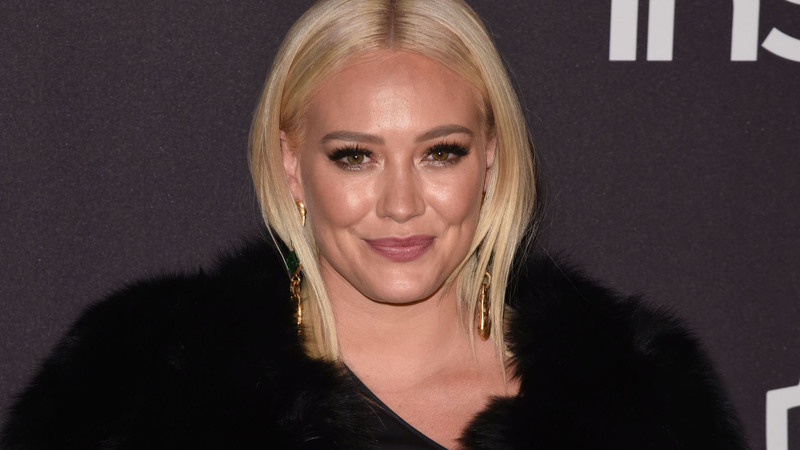 On Monday, Hilary Duff posted a video from the moments right after her daughter Banks Violet Blair’s birth that shows the initial meeting between them and Duff’s boyfriend, Matthew Koma, in October. In her caption, Duff opened up about the special moment and celebrated Banks turning five months, as well as her daughter recently getting over a bout of colic. In the video, baby Banks reached for Duff and wraps both arms around her neck as they sit together in a tub full of water. As she revealed in November, Duff opted for a home birth for her second child, more specifically a water birth. At the time, she admitted that she was in labor for longer than her midwives expected, which led to some frustration. Duff, who will be playing late actress Sharon Tate in The Haunting of Sharon Tate, has been candid about all aspects of motherhood. In addition to this sweet first hug, the actress told the Informed Pregnancy podcast in November that she drank her placenta in a smoothie rather than eating it or taking it in pill form. In January, she spoofed the now infamous photo of Rachel McAdams pumping breast milk with a photo of her own that was slightly less glamorous.